Discover the rhythm of the tides as you relax on the private balcony of this two bedroom Majestic Sun #705A vacation rental in Destin, Florida. A full view of the beach will highlight your mornings with beautiful sunrises and your evenings with the moon reflecting on the water. Majestic Sun sleeps up to 8 people and includes free Wifi making it the perfect location for your family vacation. Spend your days sinking your toes into the velvet white sand or spend some time lounging around the indoor/outdoor pool. The fitness facility is always open to you as Seascape's tennis courts and golf course add another dimension to your stay. 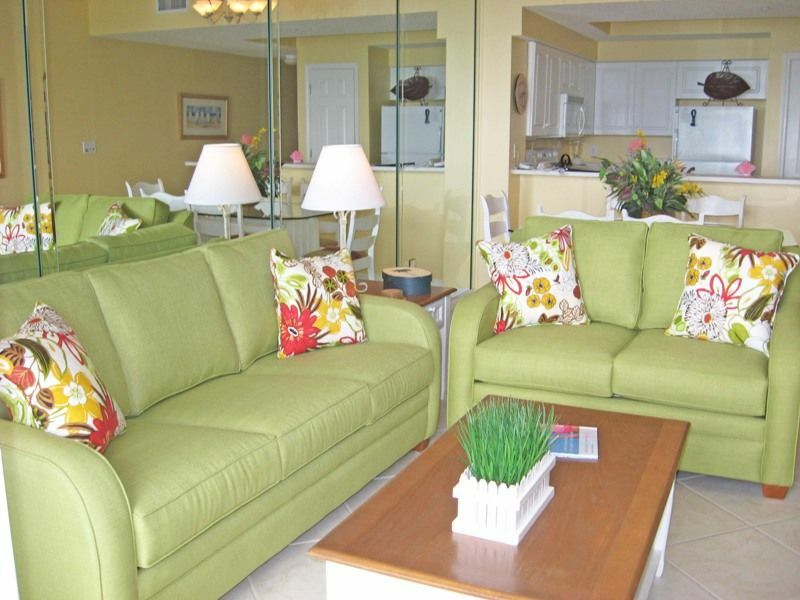 Have your dream vacation to Destin at Majestic Sun. The accomodations are adequate but not really nice. It was clean but clearly has been there awhile. Just replacing both shower curtain liners would be helpful. Also, the blinds on the bedroom windows both had broken blinds that allowed people walking by to be able to see into the bedroom. The walls are paper thin and our last night there was miserable as the people next door where awake till about 4:00 am and very active. I looked for a security number to call but never found one. Great location and beach view. Thank you for your review and feedback. We are glad to hear you had a good time. We hope that you come back next year for another memorable vacation! Everything was good. I would stay here again. Great access to the beach. Only complaint is hot tubs are cold every morning. They don’t warm up til around 11am. Would have liked to sit in the hot tub on cool mornings. Thank you for choosing to stay with Southern Rentals & Real Estate at Majestic Sun #705A this Spring! We know you have options and we appreciate your business. And thank you for providing us with feedback on your stay. It has been noted about the hot tubs at the complex. Please visit again soon- we look forward to serving you in the future. It is a run of the mill beach condo. This is a very average condo. The couch is uncomfortable. The decor is a little dated but you can see that in the pictures. The location is convenient. The beach is nice in this area. There are restaurants, etc.... within walking distance. But if you are looking for an upscale location, this isn't it. Thanks for letting us know about the couch. It is good to get a guest’s perspective. We will definitely look into. You are right about the location. This section of beach is both nice and convenient. The views are good, too. Thanks again! If we go back to FL we will book this again. Lots of room for your family there was 7 of us 4 adults and 3 children. We just returned from our stay at this lovely condo. Everything about this place was wonderful. It was clean, comfortable, convenient and affordable. The views from the balcony were breathtaking. The furninshings were nice and the beds very comfortable. I would highly recommend it to anyone looking for a great place to stay in Destin. The great price sold me and the unit is actually nicer than the pics. I was a little worried about being across the street from the beach, but the view was just like being on the sand.We were so close to it. We could hear the waves. Our bedroom even had a view. My daughters loved the indoor pool. We will definitely be back.